Linda Amiel Burns has had a lifelong love affair with cabaret and the musical theater. In 1977 she founded The Singing Experience, Workshops in performance technique for people who want to explore their potential, discover their hidden talents, and gain self-confidence through the magic of music. Since that time, thousands of people of all ages and all walks of life, have taken this remarkable journey. Julie Wilson says, “This is the best cabaret performance workshop there is!” Peter Leavy of Cabaret Scenes called Linda “the best teacher.” For the past ten years, she has produced and starred in The Singing Experience Cable TV Show on MNN and RCN. Over the years The Singing Experience workshops have received extensive coverage in the print and electronic media including Charles Osgood’s “CBS Sunday Morning” with Bill Geist and, most recently, the subject of a profile in Broadway World by Stephen Hanks. In addition to conducting over 400 workshops, Linda has directed, written and booked hundreds of award-winning acts and revues in NY and in cities throughout the country and is a sought-after director and vocal coach. Linda’s interest in the American Popular Songbook started in her childhood. Her father, Jack Amiel, owned two famous restaurants in the Brill Building, then the center of the music business: The Turf and Jack Dempsey’s. There, she met many of Tin Pan Alley’s legendary songwriters and publishers and began collecting sheet music, learning and performing their songs. 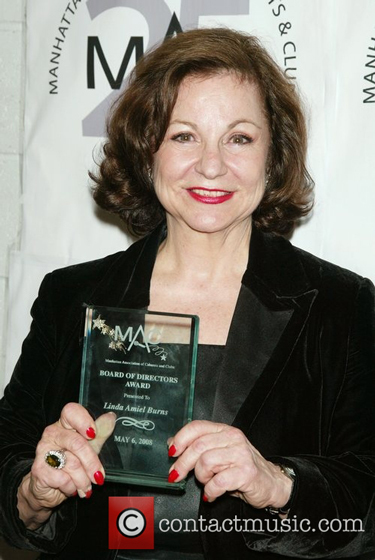 In 1998, Linda became President The New York Sheet Music Society (www.NYSMS.org) and won a speical MAC Award in the “Recurring Series” category for producing over 150 programs and shows starring renowned composers, authors, historians, musical theater and cabaret performers. This esteemed organization will now be known as The American Popular Song Society (www.americanpopularsongsociety.org). Linda was responsible for realizing the long-held dream of The Songwriters’ Hall of Fame President and legendary lyricist Sammy Cahn, by establishing a home for their treasured memorabilia at The Symphony Cafe. She later created a Broadway Theater Museum and piano bar at The Broadway Museum Cafe in the Times Square area. In 1994, Linda reopened the famed One Fifth Avenue Restaurant and Bar in Greenwich Village to rave reviews for its food and ambiance. Among the many well-known pop, jazz and and cabaret performers who graced its stage were Tony Bennett and Wynton Marsalis. Linda served on the MAC Board of Directors for over 16 years, is on the Advisory Board of Theater Resources Unlimited (TRU), was a Trustee of Arts Horizons (www.ArtsHorizons.org) bringing arts programs to schools and served as Chair of The York Theater’s NEO Benefit Committee. For several years, Linda has been writing cabaret reviews and articles for Theater Pizzazz (www.theaterpizzazz.com), TheaterScene (www.TheaterScene.com) and Theater Life (www.TheaterLife.com). She also wrote articles for Cabaret Scenes Magazine. Linda is a member of SAG/AFTRA, The Dutch Treat Club, The National Association of Professional Woman and The NY Chamber of Commerce. How The Singing Experience started?